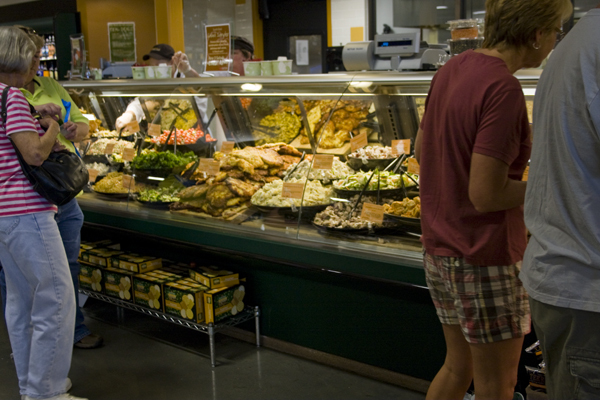 Have you been to the new Earth Fare in Huntersville, NC yet? If not, read the first part of my post: The New Earth Fare on the Block. In this post, I will introduce you to my favorite sections of Earth Fare. Let’s get started with cheese and wine! Earth Fare offers a huge selection of yummy cheeses. The thing I like about their cheese department,is that they have helpful signs to guide you with your selection. 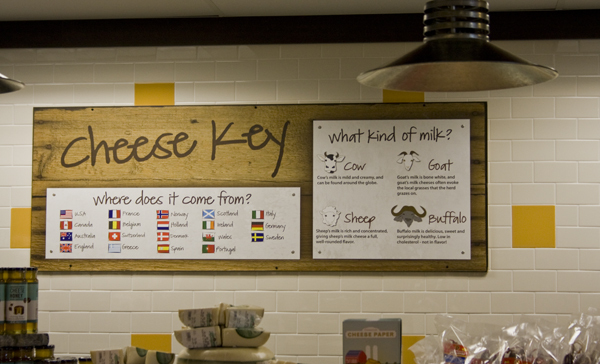 This sign lets you know what country the cheese comes from and what kind of milk is used. The kinds of milk in the sign describe the taste and texture to expect. There are also signs that help you with pairing your cheeses. The stinky cheeses illustration is my favorite! 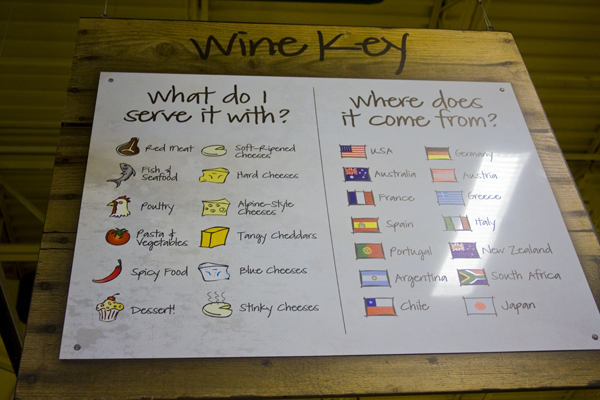 You can find similar signs on select wines around the store suggesting what food would be best served with that wine, and what kind of flavor to expect. I think my absolute favorite thing about Earth Fare are the bulk bins. There is something very liberating about stuffing your food in the thin plastic baggies, without all the extra cardboard box packaging. They offer cereals, nuts, flours, grains, beans, dried fruit, and even CANDY in the bulk bins. Besides the candy, I like to get quinoa and red lentils the most. 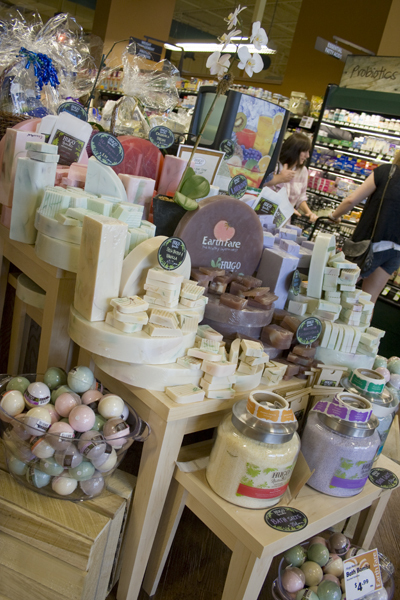 Yes, Earth Fare even has a health and beauty department where you can find chemical free and organic products such as, makeup, nail polish, aromatherapy, toothpaste, hair care, and soap. If you don’t need to shop for beauty products or food, that’s okay, just go to eat there! The food is delicious. They have a cold bar and a display case full of prepared food. There are multiple hot soups in ready-to-go containers to choose from. There is even a bakery full of desserts, cookies, and muffins! The nice thing about this, is that they actually have an ample amount of seating, so you can stay in the store and eat. A free Tulsi tea sample. Chobani Greek Yogurt in my favorite flavor – Black Cherry and a new flavor – Lemon. The Lemon sounds refreshing doesn’t it? Okra Chips – these are good, but interesting. They’re dry, but as soon as you start eating them, they have that slim effect again. Do you know what I’m talking about okra lovers? Alba Shave Cream – contains no artificial colors, parabens, phthalates, sodium lauryl/laureth sulfate, or sodium methyl sulfate. Veggie Chips – squash, carrots, sweet potato, green beans. These are addicting! And of course, I wasn’t leaving without dessert – A slice of the flour-less Chocolate Cake! 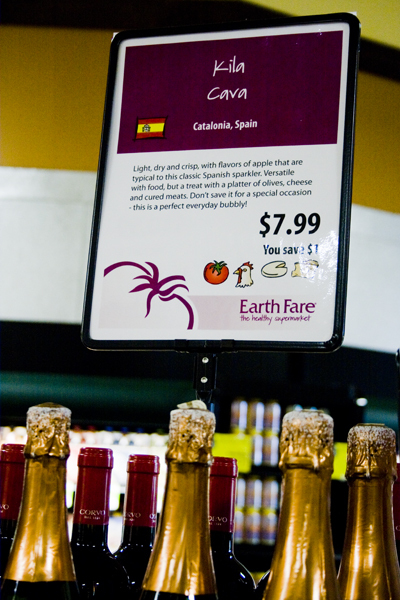 As you’ve seen, there are many, many, many, wonderful reasons to visit Earth Fare! Sign up for their monthly flyer, coupons, and weekly FREEBIES at their website. You can also follow Earth Fare on Twitter and like them on Facebook, for weekly news and events. 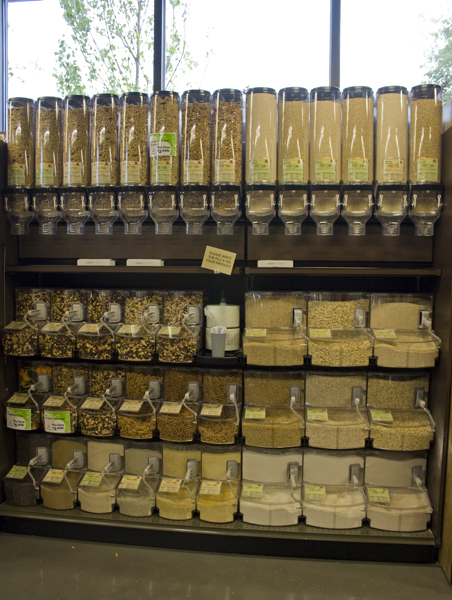 What item(s) are you most excited about getting from Earth Fare! ?